Jamie Sommers was just your average person going about life—juggling work, friends and family. That all changed in a matter of seconds, thanks to a devastating auto accident. As you might expect, her life would never be the same. In fact, if it weren't for some high-tech interventions, Jamie probably wouldn't have survived at all. Her outcome was something of a miracle—the young lady walked out of the hospital with incredible strength, agility and speed. Sound too good to be true? Is her story the makings of a Hollywood legend? Well, yes...and no. While Jamie's story is the beginning plot to the new NBC drama, "Bionic Woman," it's not necessarily pure fiction. It's actually closer to art imitating life than you might think. In fact, we're in the midst of an exciting period of innovation in bionics, or more currently termed, biomedical engineering. By definition, biomed engineering integrates physical, chemical, mathematical and computational sciences and engineering principles to the studies of biology, medicine, behavior and health. Among its plethora of applications are advances in materials, processes, implants, devices and informatics geared toward patient rehabilitation among other things. And in comparison with other technical specialties, it's a fairly young discipline. Still, it's an area of study that's generating a lot of buzz because scientists, medical practitioners and engineers are on the precipice of remarkable breakthroughs. Even better are the resulting career opportunities. On February 28, 2005, U.S. Army sergeant Juan Arredondo headed out on patrol in Iraq. When an explosive device ripped through the left side of his vehicle, Arredondo knew he had to get out, fast. As he exited, though, something caught his eye for a split second—his detached left hand still clutched the steering wheel. The sergeant grabbed the appendage and fled to safety. Arredondo is one of at least 500 military personnel maimed during the current conflict. Some soldiers return home with a hand amputated or a leg gone or, in some case, multiple amputations. While these are all dramatic tales that deserve the media attention they capture, they also represent a minority of all cases. Research shows thousands of new civilian amputees each year, many of which are due to vascular or circulatory disease. Industry experts anticipate this trend to only strengthen in coming years—according to the Amputee Resource Foundation of America Inc., the number amputees will increase by 47% by the year 2020. "In the next 10 to 15 years, the need for prosthetics will grow at an alarming rate, faster than what we've seen up to this point," comments Jay Martin, CP, LP, founder and vice president of R&D for Martin Bionics LLC, based in Oklahoma City, Okla. "Just as the obesity level of Americans and rate of diabetes in general have grown, we will see unparalleled growth rate of amputations." For years, however, the selection of designs remained limited. "Their abilities were limited by the technology and not by their own functional limitations," says Martin. "There have not been many advances in years. One of the main reasons was that we were limited in the ways humans could control devices," adds Blair Lock, managing research engineer of the Rehabilitation Institute of Chicago (RIC). That is where biomed engineering steps in. "Five or 10 years ago [the industry] was a very different situation, and five years from now, it will be radically different again," observes Martin. Remember the scene in the "Empire Strikes Back" where Luke Skywalker receives his mechanical hand with its computerized control panel and life-like coverings? Well, back in 1980, the likelihood of that becoming a reality was virtually nonexistent. "When I watched "Star Wars" as a teenager, I was fascinated. I was under the impression they could really use prosthetic hands like that because they were so much stronger," says William Tang, professor of biomedical and electrical engineering, computer science and integrated nanosystems research facility at University of California, Irvine (UCI). Rather, these devices are operated by twitches or movements of muscles, such as shoulders or the remaining portions of limbs. This often turns out to be clumsy and inaccurate. What researchers are now seeking to accomplish is something closer to the Luke Skywalker version by integrating prosthetics with users' nervous systems. The objective is to establish signal transmissions from artificial limbs to the brain and back again. "We want to restore as much natural function as possible, including touch," says Tang. "Ultimately, we want the prosthetics to be so transparent to users that they think they're regaining natural limb use. But with technology, nothing is that simple." Tang has routinely welcomed tough challenges throughout his 25-year career. Professionally, he has worked for engineering legends, such as IBM and Ford Motor Co. He also held positions at the Jet Propulsion Lab and the Department of Defense before accepting his professorship in 2002. "My background is in electrical engineering, particularly micro-electronics and mechanical systems. I had to decide whether to stick with what I'd been doing or switch to an exciting new area. I felt like I was ready to broaden myself even more." 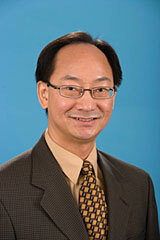 Professor Tang opted to join the founding faculty of the UCI biomedical engineering major. "I wanted to be part of that pioneering mentality and to help structure the curriculum," he comments. "We are the fastest growing department in all of engineering at UCI." One of the department's most recent projects is the Advanced Prosthetic Hand, the impetus for which came from a student. "He approached me wanting help with researching the development possibilities of prosthetic hands for veterans. He personally knew one such Iraqi veteran, and introduced me to him," Tang explains. "Gradually, it has developed into an interesting project." The pair uncovered some intriguing developments. "There is work being done that has really laid the foundation," he notes. That was enough to whet Tang's appetite and desire to take the process to the next level. The university applied for and won a $32 million Defense Advanced Research Projects Agency (DARPA) contract from the Department of Defense to continue their efforts in developing a better prosthetic hand. "We're just finishing the first year, so we're one-quarter done. We've established quite a bit of the engineering and feasibility studies. We have the science [and] confidence now to decide whether we're going on this path versus that one. In phase two, we'll narrow our technology choices," the professor explains. "We're on track so far," Tang continues. "If we plot a straight line in our projections, and everything goes accordingly, we should be applying the prosthetic hand to users and patients in three and a half years, at least in the prototype form." Have you heard the tale of Winter the dolphin? After getting trapped in a crabber's cage, the mammal was left with such severe injuries that rescuers worried she might never be able to swim normally again. Thanks to a new silicon plastic sleeve attached to a prosthetic tail, the creature began swimming effortlessly again. While Martin Bionics didn't have a direct hand in that project, it has already invested years into R&D efforts of new gears, devices and materials. In fact, Jay Martin has spent his entire career trying to advance rehabilitative devices. 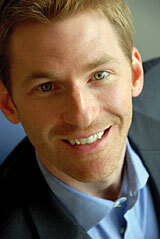 Martin kicked off his professional life while still attending classes. He scored two internships at the Sabolich Research Center (SRC), which is where he first discovered the potential of prosthetics. "The second I walked in, I knew this is what I wanted to do. It's a [combination of] invention, design and working with people," he notes. After graduation, Martin became a full-time employee at SRC, but left a year later to attend a master's degree program. Afterwards, he gained first-hand experience as a certified prosthetist, before returning to SRC. "Through the course of the last several years, I made the transition from clinical practitioner to leading the research team," he says. After a few more years at the center, Martin felt it was time to dig deeper into the research aspect, and the best way was to create a separate entity. Therefore, Martin Bionics came to be in 2002. The two organizations maintained a close relationship, however, aiding one another in their R&D projects. Then last year, the company vacated the center and created its own headquarters. "We outgrew that facility, but we still work hand-in-hand with SRC," says Martin. "Mainly, we're developing strategies for the brain to better control the prosthetics, so users' intended movements are appropriately managed. We have computer-controlled joint designs for the ankle or knee that have the ability to use internal prosthetics to send messages to the brain to create the proper movement. We're also working on some new materials applications and the incorporation of nano technology to ultimately control prosthetics." More specifically, Martin Bionics has patented a product called the Magnetorheological Fluid Damper, which is controlled by a microprocessor that provides biomechanical function and creates optimal angles for ankle movement. Also on the company's menu is a sensory feedback system, the center of its neural integration efforts. "We want to [send data] from the prosthetic about force, temperature and tactile back to the brain," Martin explains. This is the best application for nano technology. "Today the level of computer intelligence in prosthetics is relatively limited. Most do not get computers, but the body relies on the human computer-the brain-to do what's needed. The human body is dynamic and adaptable, and integrating a non-adaptable component to the body can be challenging." Indeed, the incorporation of computerization is perhaps one of the firm's most impressive developments thus far. "We see a lot of change in the continued integration of control systems and computer technology, or intelligence-based devices," Martin explains. "As computer technology in general matured, it enabled prosthetics to function better. The same can be said for materials that are lighter, stronger and bio-capable. We will see further advancement with materials and nano technology." Claudia Mitchell is a real-life bionic woman, minus the Hollywood hype. The former U.S. Marine lost her left arm in a motorcycle accident, but is now making history by living with a truly bionic arm. She is able to exercise such precise control of the device that she can cut food four times faster than most users with a traditional prosthetic. She has also regained some sensation in the hand if someone touches a select patch of skin on her chest. These accomplishments are the result of a revolutionary surgery developed by RIC's Director of the Neural Engineering Center for Bionic Medicine, Todd Kuiken, M.D. RIC also has a relatively brief history-albeit an impressive one-and the groundbreaking surgery is at the crux of Neural Engineering Center for Bionic Medicine's endeavors. The actual details are plenty, but at its most basic, the procedure reroutes nerves located in the amputee's shoulder, which once originated in the amputated arm, to connect with healthy muscle in the chest and other surrounding muscles. This process is called "targeted muscle reinnervation." "This fall, some of the military amputees will have the surgery and become a part of our research. It is truly ongoing," says Lock, "but it's all related to the surgery." Now that that aspect has been refined and implemented, the RIC team has moved onto the next phase, which includes teaching users how to fully operate the device and evaluating their input. "Up to this point, it's been tough to get a good a set of data. This will expand the amount of information we have about the way prosthetic devices are used," notes Lock. Lock followed a similar career path as did Martin in that he was introduced to the industry as a student. Instead of pursuing the clinical route, however, he maintained direction on the engineering road. Lock earned an undergraduate degree in electrical engineering and a master's in biomedical engineering with an electrical engineering focus. "I looked at what was available and I found [biomed] to be appealing," he notes. "The human aspect is important, and I love that I get to help people." In the two years since Lock has been with RIC, he has seen tremendous growth take place. "It was just getting started with three or four people who were full-time. Now there are 16 of us." In his current position, Lock oversees many of the laboratory tasks. "We are active in the pure research because a lot of this is new, such as how users are able to control, learn and grow while using the devices. We also give users prototypes to test, such as new motors and gears. There are so many things to research and refine. We're defining it all." The common thread that ties these various efforts together is the multidisciplinary teams each organization assembled. The nature of the industry is such that in order to design new prosthetic technology, it requires expertise from medicine, therapy and engineering. But that mixing is also what makes the work so interesting and unique. "It's an interdisciplinary field where we don't see star engineers. If you want to be successful, you have to work well with a team," advises Tang. "You have to be able to contribute your own abilities, specialties and training without being too protective of that contribution." "We have engineers, neurologists and scientists. Most of them are Ph.D.s, doctors, therapists and clinical prosthetists," adds Lock. "We want people who can bridge the gap between their own thought and the group's progress as our research moves forward." When it comes to job responsibilities, engineers utilize many of the same skills, and often the same technology as they would in more traditional industries. Indeed, this specialty typically borrows innovations from a multitude of industries, and then puts its own twist on them. "A lot of our technologies are borrowed. We may not be a big enough factor economically to have new batteries developed specifically for us, but other industries have, and we borrow those. Our expertise is finding what aspect of the technology we can borrow," says Lock. To do that effectively, professionals must be able to look at how various software, materials, motors and gears can apply to helping a wounded soldier once again hold a pen and feel the necessary pressure to write his or her name, or know when a surface is heated. Not only do you need to understand the complexities and capabilities of a virtual reality program, for example, but also how it can be used to further the goal of sending and receiving signals along the nervous system highway. "We're looking for someone who has a broader skill set who understands human bodies as well as mechanical or electrical engineering," says Martin. "I want someone who thinks, 'How does it relate to prosthetic designs?' That way they are more prepared to apply that knowledge." As interesting as the technical challenges may sound, those in the know offer up a word of caution in terms of actual numbers of jobs. While biomed engineering as a whole has increased substantially in recent years, this particular niche remains relatively small and tight-knit. "There aren't a lot of companies designing, and those that do, have relatively low turnover rates," advises Martin. But don't despair. As noted earlier, the forecast shines bright, and that means future job opportunities to match the skyrocketing demand. "We hope to hire 30 or 40 more engineers," offers Martin. The key is to exert yourself in a manner that will get you noticed. For example, know what you're talking about. "It's impressive when people have read the research and have followed our history, and who have an idea where they can fit their skills into it," states Lock. Also, draw a clear idea of where you want to work; large versus small, new versus established, research versus clinical. "If you have an entrepreneurial spirit and want to do something new and explore, I would say work for a smaller company that is more dynamic and in the growing mode," suggests Tang. "On the other hand, if you're someone who wants to explore bigger areas, you'll be better off working for a more well-established company. After you're hired, there will be different opportunities to explore different departments." "For someone very motivated and eager to be in the field, there is opportunity," concludes Martin. "Sometimes it takes being an advocate for your own career." So, as you sit back each week to watch the many adventures of Jamie Sommers as the bionic woman, keep in mind the fact that sometimes science fiction actually can become reality. It just takes some talented technical minds to put the fantasy to the test.